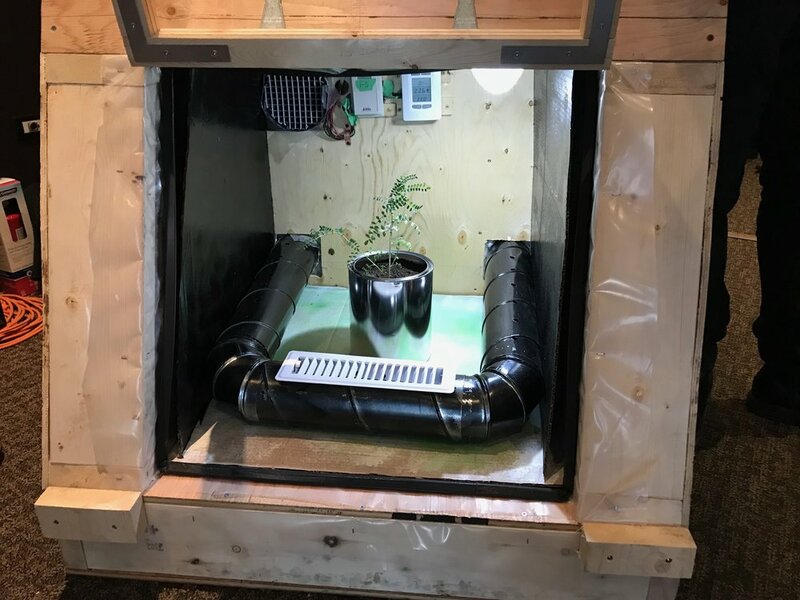 Last week the U of C capstone group presented and put on display their 'Low energy greenhouse' prototype at the SAC-ASHRAE dinner meeting. The reception of their fourth year capstone project was nothing but positive. The students and Board received many positive comments about the project and their presentation during and after the meeting. If you were unable to see the final project last week, it will be on display again at the Engineering Capstone Fair April 3rd at the University of Calgary. The 2018 calendar year for the ASHRAE SAC University of Calgary Student Branch began with the planning of a key event in March, “Industry Presentation - Engineering a Building”. During this event students were presented with an exclusive opportunity to learn about the exciting HVAC&R industry, from professionals themselves. The event consisted of a presentation from the professionals, following with a period of questions, then ASHRAE gift giveaways, and finally a one on one networking opportunity. This type of event was the first of its kind that the Student Branch had organised. It main goal of the event was to provide students a birds eye view of the various roles involved in getting a building progressing from design to construction and commissioning. The event had four speakers, displaying the different roles of the design of a building from start to finish. These roles were: Architect, Mechanical Consultant, Equipment Sales Engineer, and a Commissioning Agent. The students found that the presentation was extremely useful in explaining the vast roles in the HVAC industry, and how everything ties together. The networking opportunity was also very regarded for as it allowed students to ask individual questions and allow them to build meaningful relationships with the professionals. The presenters were also very pleased with the event, and the opportunity they were given to share their experiences and knowledge with the students. Overall, this event was a great success for the Student Chapter based on the highly positive feedback was given from both students and the industry professionals. This event brought strong awareness to the ASHRAE Student Chapter at the University level. This event also informed the students of the intriguing events that are commonly held at the Chapter level at SAC. SAC-ASHRAE funds a SAIT scholarship each year. This year, we received a message of gratitude in response to our donation. I am Joy Fatima Abayon, a graduating Engineering Design and Drafting Technology of SAIT. I just want to thank you for the award that I got from this chapter, amounting to $1,000. This means so much to me because I am an international student and a single mom. Having this amount I can go home to the Philippines with back and forth fare and I can see and hug my son for I haven't seen him for almost 2 years. I am so happy that's why I searched for your website. Thanks once again. More power to ASHRAE Southern Alberta Chapter.